Welcome to Day 60 of 100 Days of Disney here on The Purple Pumpkin Blog! Be sure to check out all of the other posts in this series, and if you would like to share your own Disney blog posts or pictures, make sure you check out the #100DaysOfDisney Link Party! Today I’m rounding up with the last of the three mountains at Walt Disney World – Space Mountain! We have never been on this ride, maybe we’ll go on it this year…who knows! There is always next year ;) You can read also about Splash Mountain and Big Thunder Mountain. Since I really don’t know anything about Space Mountain, here is what Wiki has to say! Space Mountain is the name of a space-themed indoor roller coaster attraction located at all five Magic Kingdom-style Disney Parks. Although all five versions of the attraction are different in nature, all have a similar domed exterior façade that is a landmark for the respective park. 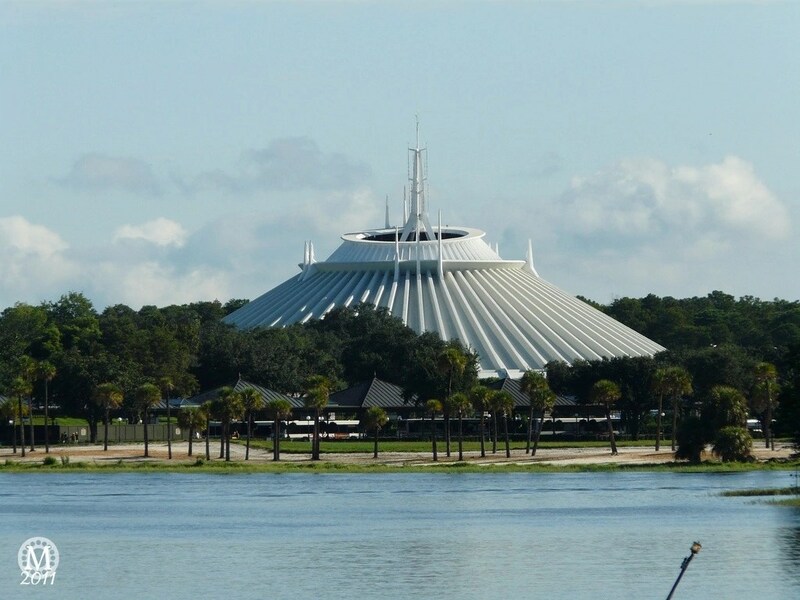 The first Space Mountain ride opened in 1975 at Walt Disney World Resort in Florida, and similar attractions were then eventually built at the other Disney parks. 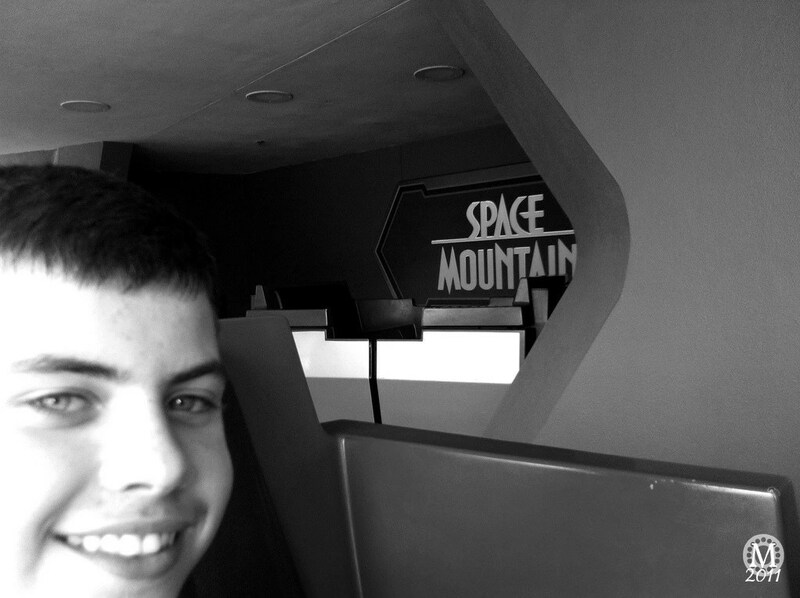 This photo of the boy is from our first trip to Walt Disney World in 2011, we are on the Tomorrowland Transit Authority PeopleMover, which goes past the sign for Space Mountain, and into the ride area itself – but you’re in complete darkness! However, there are times when Space Mountain goes down, and the PeopleMover keeps going so you can sometimes catch a rare glimpse inside the Mountain with the lights up! Have you ridden Space Mountain? Day 60 of #100DaysOfDisney is done – 40 to go! I have been on Space Mountain and the one in Disneyland Paris was better than the one in the MK. I think it has been updated since though :) It is basically a rollercoaster in the dark with lights illuminating the way. I guess it has some comparison with Aerosmith Rock N Roll Rollercoaster in Hollywood Studios. I would love to go on Space Mountain – I know people who have who say it is brilliant!